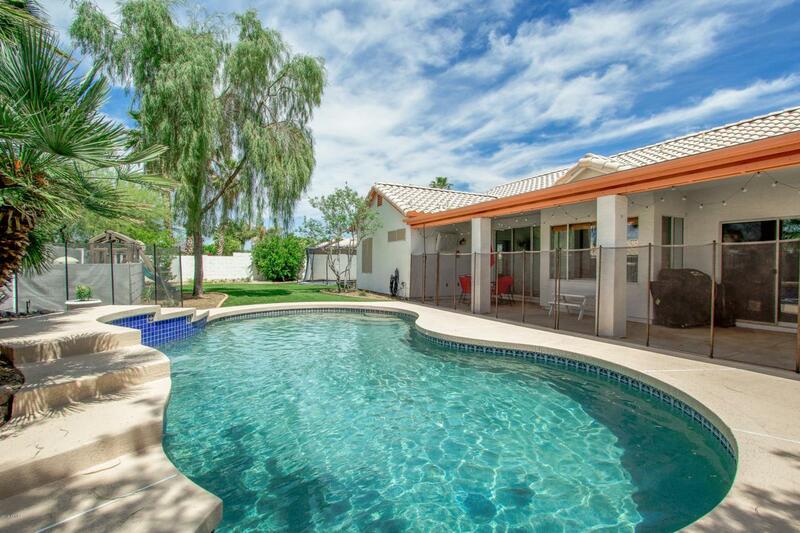 Beautiful single story 4 bedroom home with sparkling pool on spacious lot Located in Mesa with easy access to the 202 fwy, No HOA. Inside you'll find vaulted ceilings, formal dining & living areas, neutral paint throughout, an elegant kitchen equipped with ample cabinetry, tile countertops, and matching stainless steel appliances. 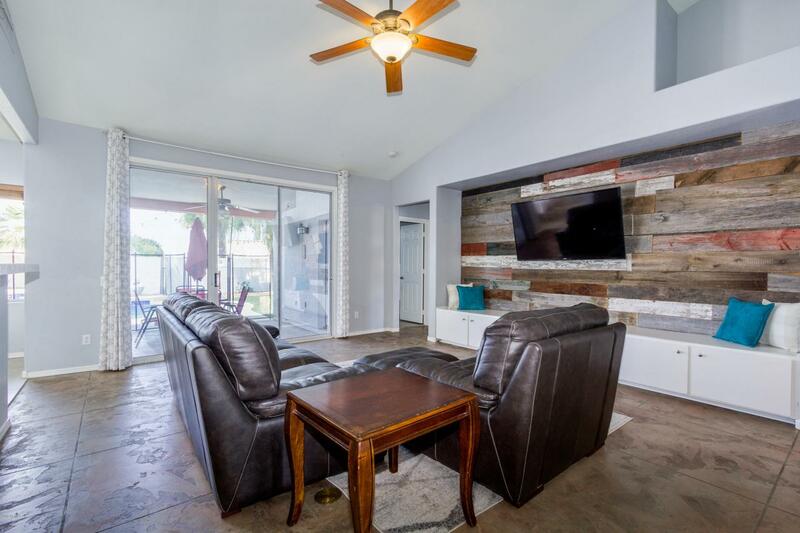 Large Family room with gorgeous barn wood wall and built ins. The grandiose master bedroom features a private exit, a full bath with double sinks, separate tub & shower a spacious walk-in closet. 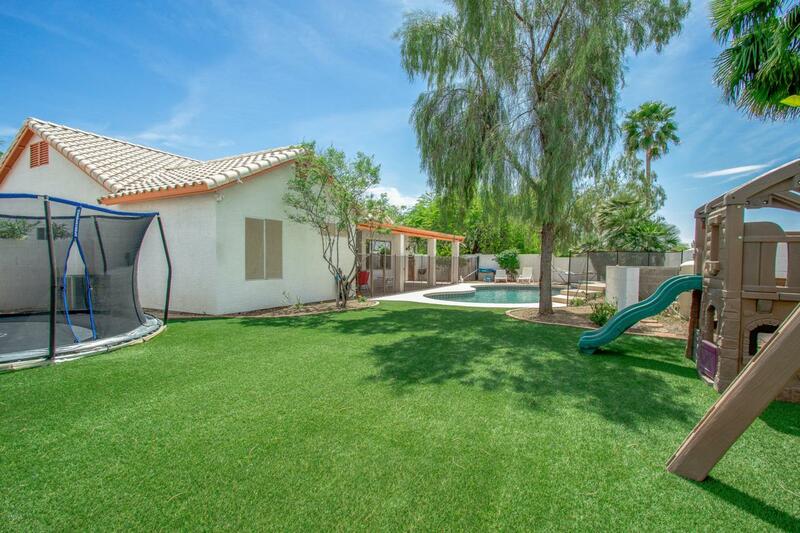 The stunning backyard includes a covered patio, large grassy area a sparkling blue pool perfect for the hot summer days! Front desert landscaping, 3 car garage with dedicated electrical panel great for a shop. This is the opportunity you've been waiting for! Don't wait.